Comments: Deciduous broadleaf native to western China. Dark green 3" long lanceolate leaves on pendulous branches. Grows well in wet soil area such as stream banks and lake sides. 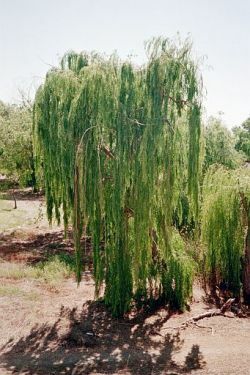 Tree has a rounded form and can reach 50' tall when fully mature.